A few years ago, Google introduced a new and innovative way of enhancing the online mobile experience of visitors to your web site; it’s a carefully formulated system called Progressive Web Applications (PWA). The fundamental objective of this system is to combine features used in web and app development to create one unique and cohesive user experience and make your site more mobile-friendly while users are both online and offline. Continue reading to gain an in-depth understanding of how this incredible game-changing technological development can be implemented to improve your web site’s functionality as well as overall user experiences. What Is a Progressive Web App and How Does It Work? Progressive Web Apps are exactly what they sound like in the sense that they combine all of the best features involved in both web sites and mobile applications to create dynamic and personalized user experiences for mobile users. These features include the ability to create home screen shortcuts to specific web pages, push notifications, and even the ability to access web pages and information while offline. The way this works is that PWAs run in the background on users’ mobile devices collecting, interpreting, and storing data based on the person’s activities. That data is then cached for later use so that the person is still able to access certain PWA-optimized web pages even while they’re browsing offline or have disabled the data on their mobile devices. This method has become an integral part of strategic search engine optimization in Toronto since Google first launched the PWA web site feature in 2014. The benefits of installing and utilizing PWAs as a part of your SEO arsenal are manifold because they can exponentially help to increase traffic to your web site and enhance the overall user experience to make it more compliant with modern mobile web technology. This is highly important and an excellent SEO strategy because the reality is that these days most people surf the Internet and conduct search inquiries from their mobile devices. The fact that PWAs track user activity on mobile devices makes it possible to deliver a more personalized user experience on any web site that implements this method right down to the types of paid advertisements each user views on your web site. It helps you become more knowledgeable about the interests, likes, and dislikes of the people who use and frequently visit your web site so that you can cater directly to their specific needs and interests. This will inevitably translate into more return customers and even generate good word-of-mouth advertising from your most valuable site visitors. There’s no doubt that an increasing number of SEO companies throughout Canada will continue to adopt and incorporate progressive web applications into their pragmatic search engine optimization strategies. It’s important to keep in mind though that there are some minor limitations to using this method and that it might not work well with some scripts, so make sure that your web site coding is done correctly. 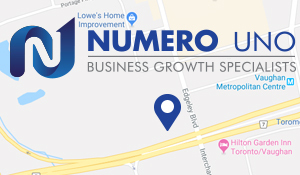 Numero Uno Web Solutions is a professional search engine optimization company based out of Toronto, Ontario. We specialize in helping our clients increase their web site traffic and attain meaningful leads that eventually translate into substantial returns on investment. For more information on how we can help you improve your business’s online presence, please contact us directly.